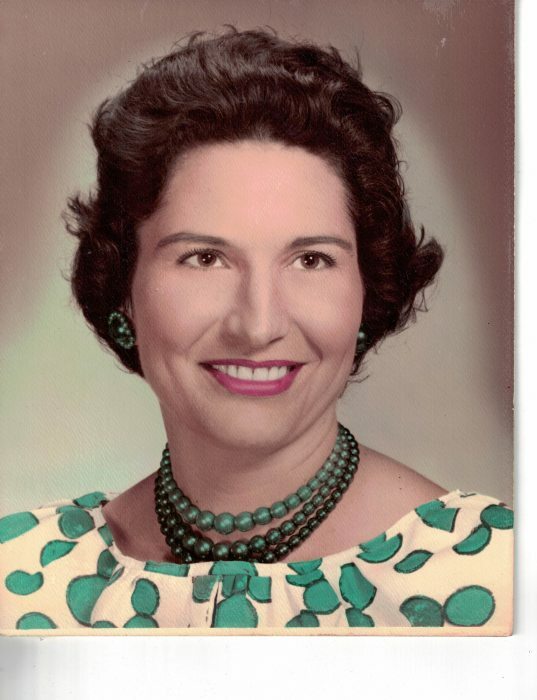 Patsy Swearingen Register, 91, passed away on Sunday December 2, 2018. She was born in Jacksonville to the late Jeremiah and Annie Hansen Swearingen. She retired from the Duval County School Board as Cafeteria Manager. She Graduated from Andrew Jackson High School class of 1945, was a member of the First Baptist Church of Jacksonville and a former member of Dunns Creek Baptist Church. She enjoyed crossword puzzles, reading, and spending time with family. She was a loving mother, grandmother, sister and friend and will be dearly missed by all. She is preceded in death by her husband, Jesse Register, brothers, Jerry, Robert, and Ben Swearingen, sisters, Lola Smallwood, Alice Colson, and Agnes Sweat. Survivors include her sons, Kenneth Register (Elizabeth), Ronald Register; sister, Gladys Montgomery; grandchildren, Kenya Cheeseman (Gene), and Anna Register; great grandchildren, Gaylin Dewberry, Mellissa Shepard, and Kelly Masoner. And a host of other relatives and friends. Funeral services will be held at 11am on Thursday December 5, 2018 at Cedar Bay Funeral Home, 405 New Berlin Road, Jacksonville, with Rev. David McRee officiating. Interment will follow at Ferreira Cemetery Jacksonville. The family will receive friends starting at 10 am at the funeral home.